No matter if you already have your online store for some time or you are just starting your adventure with ecommerce – you won’t succeed unless you can attract clients to your e-business. Of course, that sounds like it is easier said than done – acquiring users for an online store may be really difficult and time-consuming. To make this process easier, we have listed for you 5 most effective ways that will help you get lots of traffic without spending a huge budget 😉 Check it out! A store’s website is its representation. That is why it has to be beautiful and professional, especially if products being sold are very aesthetic. If a client seeks an outstanding dress and comes across a neglected and ugly website he will back off. Customers having thousands of online stores to choose from, will pick the one whose design is the most modern and aesthetic. And the reason of this is simple: a beautiful store is considered more reliable and trustworthy. Social media is one of the channels that enables you free promotion. Of course, if you publish ads among networks, you will pay, but the mere presence is free. And it can bring lots of benefits too! The key to success in social media is providing a marvelous content. You have to be interesting and outstanding, so that people will want to follow you. If you manage to do so, you will have a great marketing channel at no financial expense. So what actually should you do to attract customers using social media? You can also check infographic about it. Another thing that will help you attract many users is an outstanding customer care. Always remember: there is no better promotion than satisfied clients. Make the experience of buying in your store remarkable – but only in a positive way. A Forrester research states that 45% of US consumers will abandon an online transaction if their questions or concerns are not addressed quickly. This means that if you want to attract clients, you need to reply to all their comments and inquiries. And as soon as possible, cause timely responses are the key to success in this matter. So, remember! Never ever underestimate the impact of customer care. A research conducted by McKinsey revealed that 70% of buying experiences are based on how the customer feels they are being treated. As it turns out, it is not the product itself or the ads that are the key – it is customer service. And your task is not simple – people are two times more eager to share negative than positive impressions. It is even said that is takes 12 positive customer experiences to make up for one negative. Thereby, make sure that all your clients are satisfied with the service you provide. Be nice, helpful and competent and you will see that the customers will come. Believe me, you will be surprised how great the power of word of mouth marketing is. We all love promos and discounts. But usually it is not these 5$ that we save which makes us happy. It is rather a psychological mechanism that is responsible for these feelings. It has been confirmed that the world „free” makes us feel irrational excitement, which stimulates association with positive emotion. Many of our stores propose their clients free shipping and it turns out to be a success. The number of purchases in their stores grows significantly, as a shipping fee is one of the reasons why customers resign from purchase. Some of the stores offer free shipping from a peculiar price – for example only for those who spend more than 50$. It is a great way to stimulate clients to buy more products than they planned just not to pay for shipping. Consequently, not only do you give a special value that a customer appreciates, but also generate more sales. Another way is to distribute discount coupons. You can give them to new clients, so they have a stimulus to make their first purchase. It is also recommended to aware loyal customers by giving them a special offer such as for instance: „Buy 2, get third for free” or „second item 30% off”. All of these will make your clients feel special and encourage them to shop in your store. Last, but not least: e-mail marketing. It is both a cheap and effective solution to attract customers. An Epsilon „Branding Survey” has demonstrated that 54% people have more positive attitude towards companies that send them e-mails. 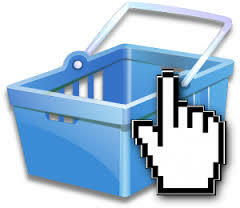 What is more, 71% of respondents stated that when shopping they always remember e-mails that a company send to them. These results confirm the importance of e-mail marketing. But what actually can you do?